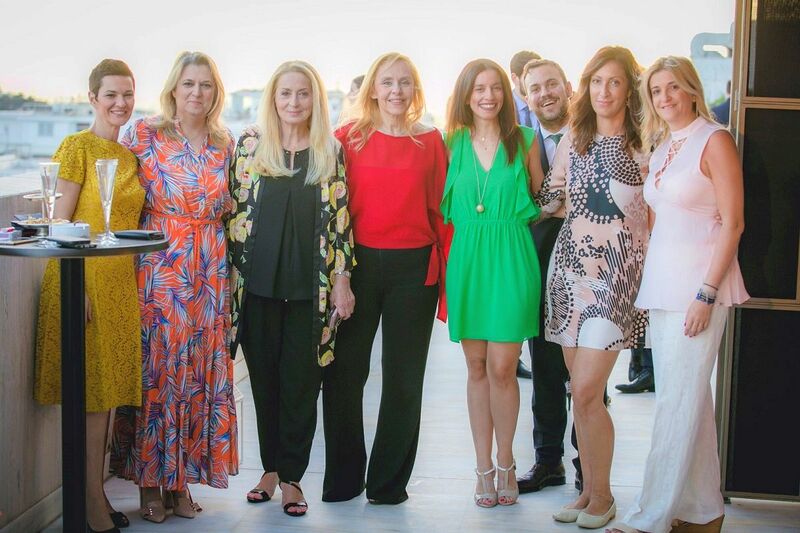 The NJV Athens Plaza team and guests. 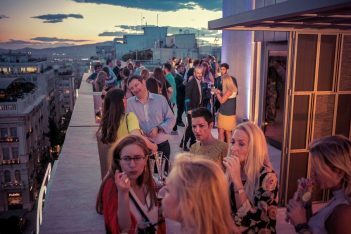 The NJV Athens Plaza, located at Syntagma Square in the heart of the Greek capital, recently celebrated the revamp of its two-storey Presidential Suite, with a “full moon” party, on the hotel’s eighth floor. 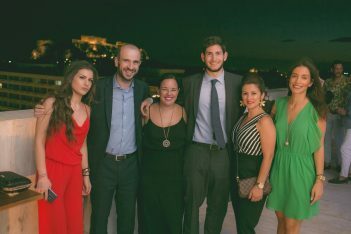 The hotel’s executives and associates, media representatives, bloggers and tourism industry professionals, enjoyed the full moon on the balcony of the Presidential Suite, which is offering a stunning view of the Acropolis, the Hellenic Parliament and as far as the Saronic Gulf. “The NJV Athens Plaza Presidential Suite is considered among the best in the city center. 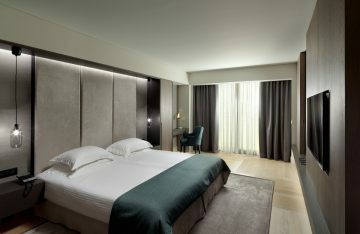 The luxurious interior combined with the wonderful balcony, offers a unique hospitality experience in the heart of the capital,” the hotel’s Deputy General Manager Vana Lazarakou said. 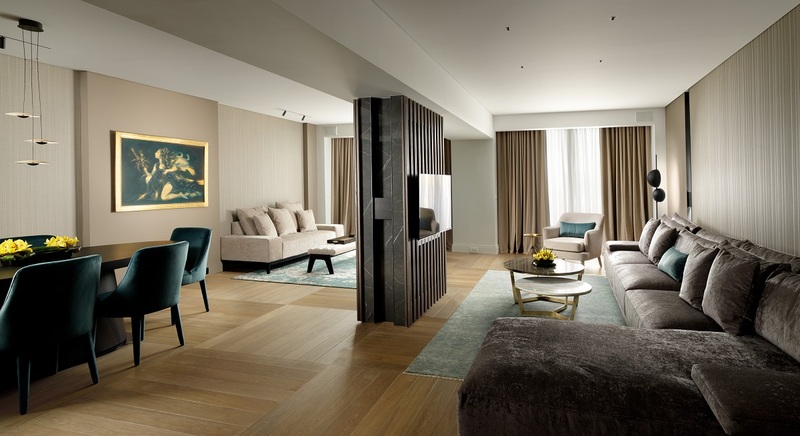 The renovation of the 160 square-meter Presidential Suite was completed in spring. The Suite now includes a luxury living-room, a dining area and a separate guest house. Its furniture and decoration consist of original works of art by renowned artists. 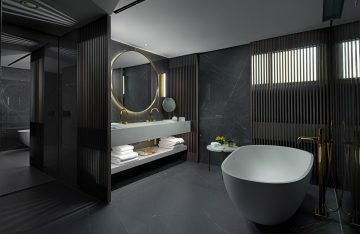 “The grey-beige colors combined with the marble, metallic and wooden surfaces create a sense of warmth and constitute the ideal setting for the carefully selected furniture of renowned exclusive brands,” an announcement said. The suite also includes state-of-the-art lighting and sound systems. Offering high-quality hospitality services since 1980, NJV Athens Plaza welcomes visitors from all over the world. It includes 162 rooms and 18 suites offering high standard amenities; venues suitable for meetings, events and conferences that can host up to 350 persons; the a la carte restaurant “The Parliament” offering Mediterranean cuisine; “The Explorer’s Bar” and the “Plaza Café”.